We're participating in 30 Days Wild this month, which is a fabulous challenge run by The Wildlife Trusts. Admittedly, this was much easier for us to do before Jessica was stuck down with chicken pox but we're trying hard to keep going and do something inspired by nature every day in June. So, one day last week we took inspiration from the poppies that Jessica has been growing this year and had a go at painting a picture of poppies using a blow-paint technique. We used ready mixed paints but I think liquid watercolours would have been better to be honest. 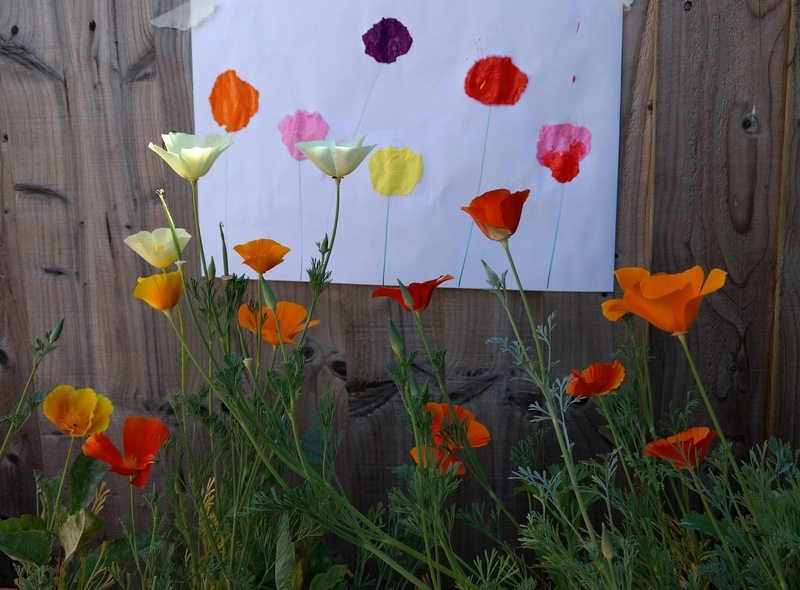 We squidged a spot of paint at the top of each stem and blew the paint into the shape of a poppy. The blow affect is a bit lost as the paint was so thick but it was still an enjoyable activity and we'll learn from our mistakes and try watercolours next time!